Nigh impossible to describe, but absolutely delightful to experience. 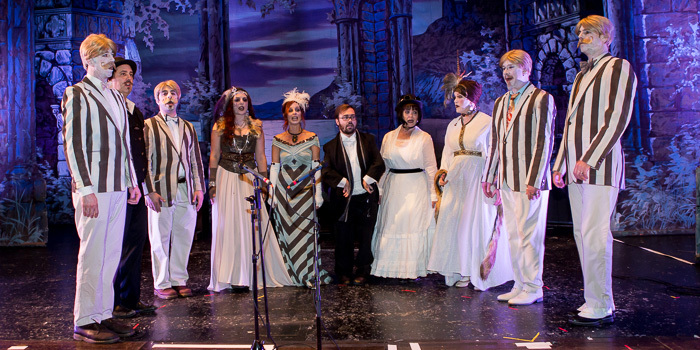 The Edwardian Ball is an elegant and whimsical celebration of art, music, theatre, fashion, technology, circus, and the beloved creations of the late, great author and illustrator Edward Gorey. Set in a re-imagined “Edwardian Era,” this multi-city, multi-media extravaganza has grown over the past nineteen years from an underground club party into an internationally recognized festival of the arts, now operating with the blessing of The Edward Gorey Charitable Trust. The list of performers, musical, acrobatic, and theatrical, is long and has visits by many beloved regulars. To see the list, click here.